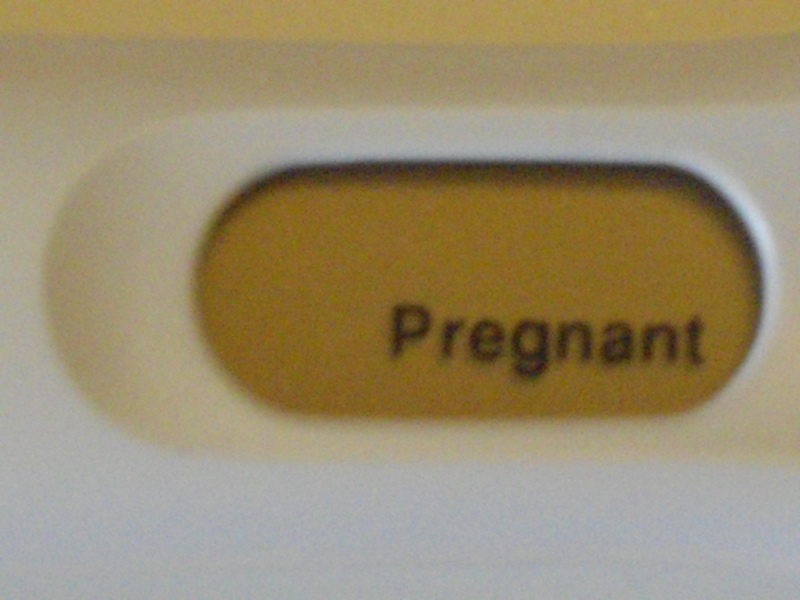 You can’t see it in the picture, but there’s actually a very faint second line on the test I took on May 27. Brand new Cool Baby coming to a blog near you in February 2012! 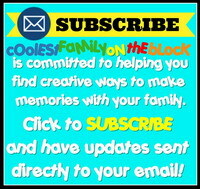 Posted on June 1, 2011, in About the Cool Family, Coming soon..., Jonathan, Pregnancy, Wordful Wednesday and tagged pregnancy, Wordless Wednesday. Bookmark the permalink. 89 Comments. Biggest congratulations ever! Take care of that little one, goodness prayers to you as you have been so sweet and diligent and positive about this. Congrats again! And thanks for visiting. I’ll be dropping by your place soon. Congratulations!! I decided to check in on others in the SITS31DBBB, I had no idea I would stumble upon such an eventful post!! How wonderful!! Thanks, Nicole! I guess it was just your lucky day 😉 I actually think most of my visitors/commenters on this post are new to the blog. Thanks for stopping by, I’ll be visiting your blog soon. woohoo! congratulations! maybe it’ll be a Valentines baby? 🙂 our little one is due in December, and the morning sickness is finally starting to fade out for me. This baby is due on 2/5…so I hope it’s not a Valentine baby ;)! I had terrible morning sickness with my daughter. It lasted until I was about 20 weeks. I’m not sick yet, but I’m preparing myself for it! Thanks for stopping by, Jeanette, I’ll check out your blog soon. Woot! Woot! Congratulations!!! Gotta say that the last test is my style — dots and dashes be hanged, just tell me yes or no!!! Thanks, Rebecca! Yeah, I was kinda hanging on to that last test because I was afraid to take it too early and “waste” it! I’m certainly to blame too. I’ve been awful with keeping up with our Goose girls. Do you have email subscription on your blog? That really the only way I can keep up with all the reading! YAY babies are the best!!! But yes, I agree that most of the time babies are the best! Thanks for visiting, Karen, I’ll return the favor soon. Congratulations! How exciting!! I found your blog thru the group at Mom Says Aye and am your newest follower 🙂 Hope you’ll visit me as well at our blog (linked above). Jessica, thanks so much for becoming a follower. I will definitely be checking out your blog soon! Thanks, Tricia! We’re very excited. Congrats! Just found your blog through 5 Minutes for Mom! 🙂 Thank you, Nicole, I’m glad that you stopped by. Congratulations!! That is the happiest of news! Thank you, Claire, we agree :)! Yes, I just messaged you back to let you know I’ll be using your post next week. Thank you so much for helping me out, I definitely appreciate it! Muggy is verrrrrrrrrrrry, excited about Cool Baby #2, which Adaline told me will be named George! Love all 5 of you! Time to get started on the nursery! I came here to let you know that you’ve written the coolest elevator pitch ever. But now I’m here, I guess, to congratulate you on your pregnancy. All the best wishes! I’ll be stopping by soon to see if you got that pitch figured out yet! Oh my goodness!!!! Congratulations! I’m SO SO happy for you and excited for you!! I just found you through the SITS31DBBB challenge. CONGRATULATIONS!! That is simply awesome! I love your blog and am definitely coming back! Nicole, I’m so glad that you stopped by and that you like my blog. I look forward to seeing you around and I’ll definitely be visiting you soon! Thanks! congrats!! 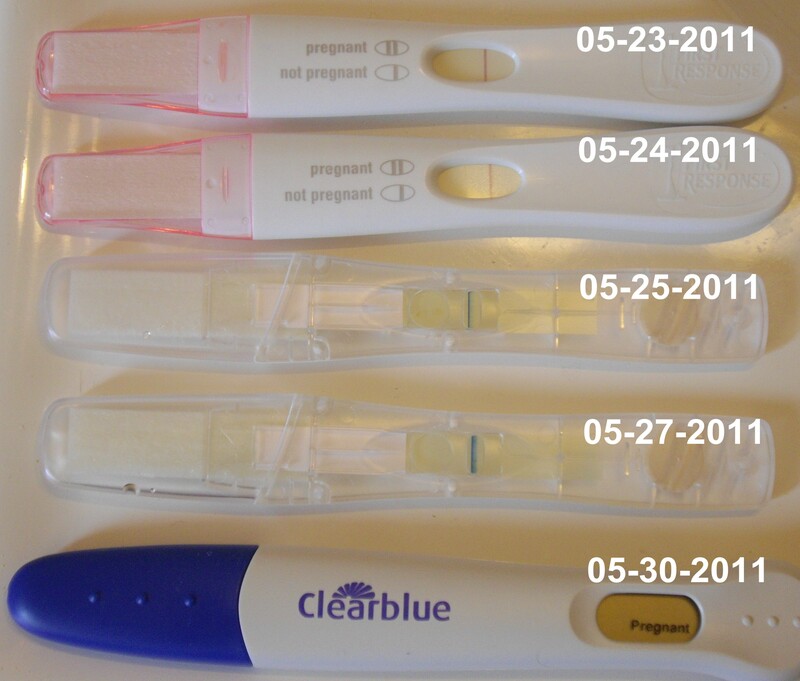 i love the photo with all the pregnancy tests :). So glad that you stopped by, I’ll return the favor soon. Congratulations!!! Popping by and following you from the blog hop. Have an awesome day! And when you get a chance come on by and check out my blog. I’ll be visiting you soon! Congratulations! What wonderful news! Cool Families’ coolness has increased! It certainly makes things easier on my husband instead of, “Why’s that line so faint? Is it supposed to be like that? What does that mean?” It never seems to believe me until I can show him a digi test! Thanks for visiting, Dee, will come by your place soon! Hopped on over here from the SITSgirls forum. My hubby and I have unexplained infertility, too. 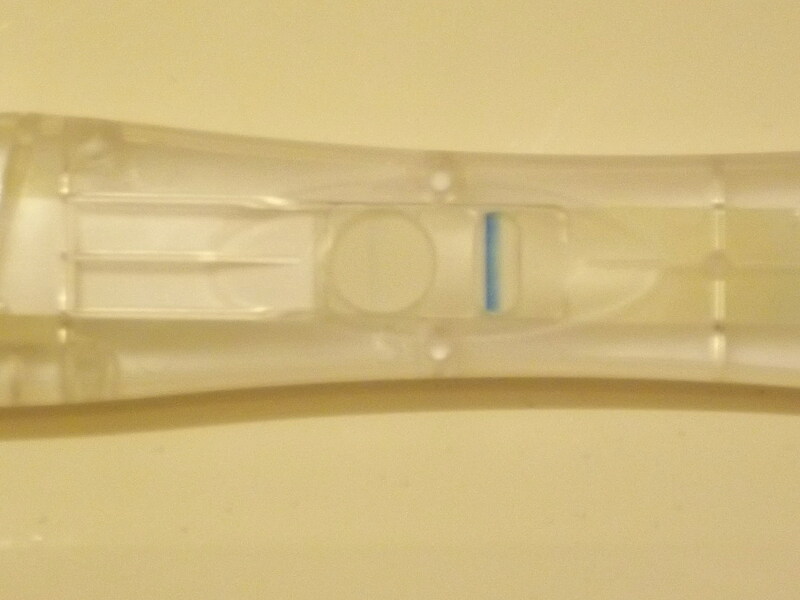 We went through all those fun tests, tried IUI a few times, then, as a last ditch effort, did IVF in November. We’re expecting twin boys on August 11th (most likely, late July)! Sandy, thank so much for sharing your story with me. We never did get around to IVF or IUI. This time Clomid managed to do the trick 😉 Twin boys…how exciting! I have a 10% chance of twins having used the Clomid. We’re going for an early ultrasound in 2-3 weeks to see just how many buns are in the ove! Thank you 🙂 I’m not certain I’ll get sick this time around (I’m fine right now), but I was sick all day long with my daughter for the first 20 weeks…couldn’t eat a thing! Bedridden = not good! Hope you’re feeling better. Oh congrats, babies are such a blessing. I found your blog in the SITS31DBB forum today. Congratulations! I look forward to following along!! You didn’t leave your blog link but when I get a chance I’ll see if I can find it in the forums so that I can visit you! New Blog Frog and Networked Blogs follower via Mom Says Aye. You can follow me back at http://thesteadyhandblog.com/. Thanks! Thanks! I’ll be returning the favor soon. Yay! Congratulations to you and your family! I’m praying that you have similar news soon. Maybe after the move is complete! Thanks so much for stopping by and commenting. We’re all very excited! WOWOWOWOWOWWWWWWWWWWW!!!! Congrats! Are you at Dunkin Donuts right now, because you should be??!? Also, I want to send you a guest post for June. Will send soon. I’m not at Dunkin Donuts yet. But luckily just a few blocks from my house is the most awesome homemade donut shop in the world, Oram’s. If the nausea doesn’t over take me I’ll be sure to spend a lot of time there! Yay, I would love a guest post from you since every one of your posts is oozing with awesome 🙂 Looking forward to it! Congratulations on the morning sickness….hope it’s awesome! Just stopping by to say: Thanks for being a voiceBoks friend! Voiceboks is awesome! I’ll be visiting you soon, I’m crazy behind! Congratulations!!! Good luck with the morning sickness. Thanks! I’m doing good so far, but we’ll really see in another week or so. I would’ve taken 5 in the same day (I certainly have in the past), but once I had one negative I figured I should save them for another day. I was really getting bummed there for awhile. Congratulations. What a fun way to make the announcement too.Hopping over from VB. Hugs and have a great week! Thanks, Katherine! For our first two pregnancies we announced to our family by making videos. I don’t know why, I’m all about the “dramatic” announcements. Congratulations!!! Don’t know if it’s your thing or not, but I’ll pray for you. 🙂 ‘Cause really, you can’t stop me. 😉 I’m so happy for you guys. I miss peeing on sticks. You can still pee on sticks if you want, but I guess it might be a waste of money. Wow!!! I just got really excited! I love how you took photos of every stick! Congratulations! I’m a little obsessed with peeing on sticks…and with taking photos. It’s a terrible habit that I have. Just kidding. We all get busy. 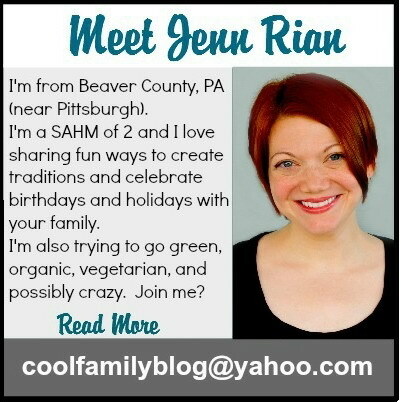 I have several of your posts that I’ve read but haven’t gotten around to commenting on…bad, bad Jenn! Thank you! We’re all very excited!